Pastor Bill Ritchie was born in Salem, Oregon, where he lived until his graduation from Willamette University. 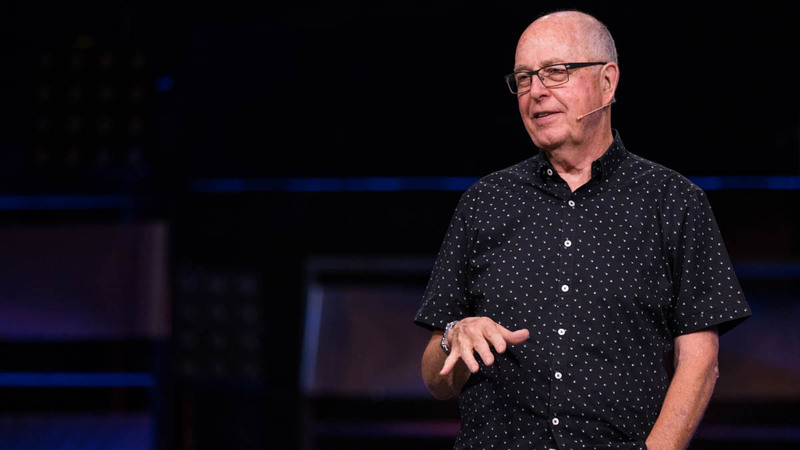 After earning his doctorate in religion at the School of Theology at Claremont, Bill pastored two Methodist churches in Washington until 1975, when God planted a strong desire in his heart to break from his denominational background and plant Crossroads Community Church, a non-denominational church community, in Vancouver, Washington. Crossroads had a dramatic beginning, with 350 people attending the first service in a high school cafeteria, and many coming to Christ week after week. Pastor Bill had no idea what was coming next, but knew that it was important to follow God’s call to start a church where he could teach verse by verse through the Bible, explore the modern worship music that was spreading across the nation by way of the “Jesus movement,” and evangelize the local community with the good news of Jesus Christ. Crossroads had a dramatic beginning, with 350 people attending the first service in a high school cafeteria, and many coming to Christ week after week. In 1977, the church became affiliated with the Calvary Chapel movement, a group of pastors who affiliated together to encourage one another in the grace of Jesus and the ministry of the word of God, worship, and evangelism. In the years since then, Crossroads has grown to over 6,000 people with outreaches in a number of countries throughout the world. After almost 40 years of ministry in Vancouver at Crossroads Community Church and around the globe, Pastor Bill gives 100% of the credit for his life’s work to God alone and credits the faithfulness of the many, many people who have served alongside him, and he desires that Jesus is glorified and people never stop coming to know Him as Lord and Savior as a result of the time he has spent in ministry. In addition to his ministry at Crossroads, Pastor Bill has penned three books, hosted a radio ministry in several countries, and been invested in many ministries around the globe. He and his wife Betty have 3 children, 5 grandchildren, a large poodle, and enjoy gardening and landscaping at their home in Battle Ground, WA.